The Communist Party of the Philippines (CPP) condemned proposals by officials of the Aquino regime to refurbish the military facilities of the former Subic Naval Base in order to accomodate the growing number of visiting US troops involved in various types of US military operations in the Philippines. The Communist Party of the Philippines (CPP) today described the US-Aquino regime’s new counterinsurgency (COIN) campaign plan Bayanihan as “the same dog with a different collar.” The Armed Forces of the Philippines (AFP) is scheduled to unveil tomorrow its new COIN plan that will replace the previous Arroyo government’ Oplan Bantay Laya (OBL). The OBL has been widely criticized for giving rise to the spate of extra-judicial killings and abductions targeting mainly social activists and critics of the government and the ruling system. 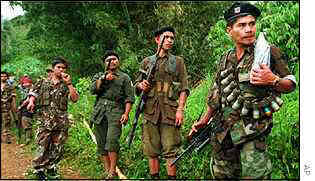 It was known for its brutal military operations and other gross human rights abuses that have caused massive sufferings of the people, especially in suspected New People’s Army areas as well as those fighting in the legal and parliamentary arena. 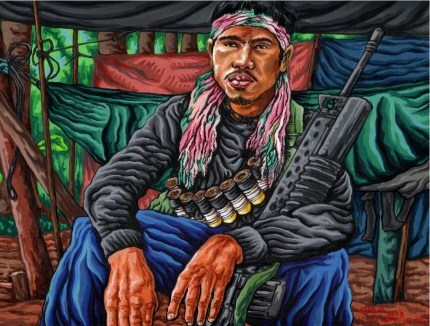 The Communist Party of the Philippines (CPP) today declared that “there was neither treachery nor a violation of the 19-day ceasefire declared by the CPP and the National Democratic Front of the Philippines (NDFP),” when the New People’s Army (NPA) successfully carried out on December 14 an ambush against the operating troops of the Philippine Army’s 803rd Brigade in Las Navas, Northern Samar. 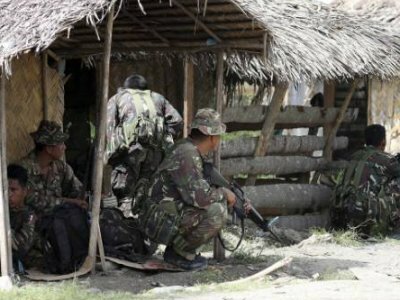 According to initial reports, the Red fighters were able to seize at least 10 high-powered firearms from the defeated Philippine Army unit. As far as the CPP, NPA, NDFP and revolutionary forces are concerned, the Samar ambush last Tuesday should not in any way affect the progress of the peace negotiations. It was a legitimate act of war, carried-out in self-defense in response to an active enemy offensive operation,” the CPP said.